Can Americans Teach English in Europe Even Without Citizenship from an European Eunition (EU) Country? Yes — An American with a TEFL / TESOL Certification from International TEFL Academy can realistically find great opportunities to teach English in Europe. There are thousands of Americans successfully finding employment in Europe every year as English teachers. You may have read articles or blogs saying that it is impossible for Americans to find work teaching English in Europe due to citizenship requirements or demand for British English. However, that is simply not the case for qualified TEFL/TESOL trained Americans from International TEFL Academy. There are so many positions available throughout Europe, that employers cannot only hire EU citizens. Many schools do prefer American English as it is the more common form of English used in business relations and media worldwide. 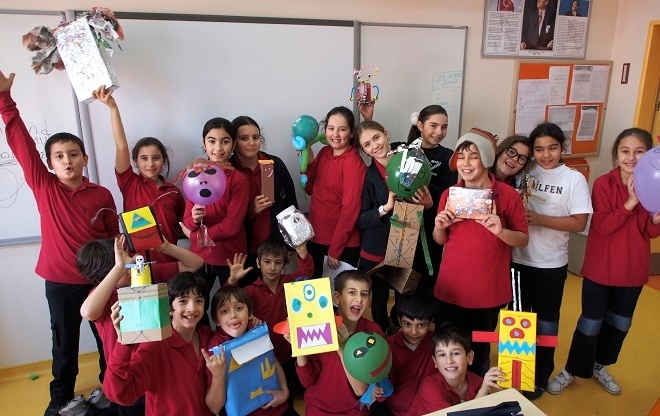 Major European cities like Madrid, Milan, Prague, Moscow, Rome and Istanbul are all home to dozens, if not hundreds of private language schools specializing in English instruction and as many of 3,000 – 5,000 English teachers work in such cities annually. In Western Europe, Spain, Italy, and Germany are the largest job markets for teaching English and tens of thousands of opportunities can be found in Central and Eastern European countries like Russia, Poland and the Czech Republic. Some countries like France and Greece can be more challenging for Americans because of red tape and a strong preference for EU citizens. An exception to this is the French government's assistantship program, which recruits more than 1,000 qualified Americans to work as assistant English teachers in public schools. Spain operates a similar program. There are limited but growing opportunties in smaller central & southwestern European countries. In some EU countries, including Italy, Spain and France, some Americans gain a legal right to work as an English teacher by enrolling in a study program (usually language) and receiving a student visa that grants working privileges. Offering the social liberalism and cosmopolitanism of Western Europe, with the lifestyle and climate of the Mediterranean and the exotic allure of the Middle East, Turkey has huge demand for English teachers and a great job market, particularly for Americans who do not have to contend with a bias towards EU citizens as Turkey is not in the EU. Also, it is possible to interview in advance and some schools provide benefits like stipends for housing and/or airfare. Apart from choosing a country in Europe, for Americans, it is essential to follow the major hiring seasons and in many nations in Western Europe, it is essential to interview in person to obtain employment. This means that in most cases, you will need to travel to Europe to interview face-to-face. American graduates from International TEFL Academy, will typically find work within 1-3 weeks of arriving in Europe who follow our job search guidance advice and are professional throughout the interviewing process. 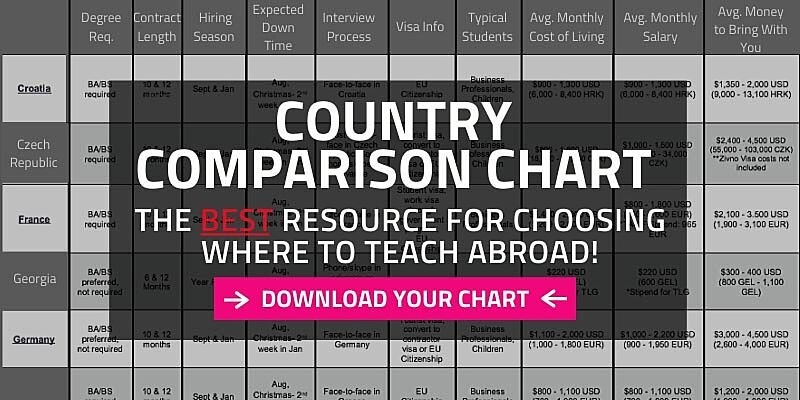 Click here to request a Country Chart that compares details for teaching English abroad in more than 50 countries around the world. You can also learn about hiring seasons and other matters relating to teaching English in Europe by visiting the Country Profiles. As many as 50% of English teachers leave their positions over the summer, creating huge demand for new English teaching jobs in Europe as schools begin new sessions in September and early October. Those looking to teach in Europe should typically count on being on the ground with their TEFL Certification during these hiring seasons to interview in person. Government assistantship programs in Spain and France require that applications be filed by March for positions beginning in September. Exceptions: Turkey, Russia and Georgia which hire year-round. These are also countries where you often interview and get hired in advance from home, so you have a job waiting for you when you depart. Summer camps throughout Europe hire English teachers locally and in some cases recruit in advance from the U.S. and elsewhere during the winter and spring for the following summer. It is very important for all of our students to have the right expectations prior to enrolling into any TEFL course to make sure that teaching in Europe will be a good fit for you. This is why it is critical that you speak with a TEFL Advisor prior to enrolling in a TEFL certification course. Visas and legalities can be confusing, but they are critical if you actually plan on moving and living in Europe. Many employers will hire an American on a tourist visa “under the table” in countries like Spain or Italy, however there are opportunities to find work on a student visa as well in these nations. It is also common for foreign English teachers to get work visas in advance in some European countries such as Poland, Turkey and Russia. In other countries, American English teachers will gain employment in-country and then have a work visa or work permit processed locally. This is common for qualified English teachers who interview and get hired face-to-face in countries like Germany and Czech Republic. Again, applicants often must provide proof of employment, a passport and completed application forms; in many cases, other documents such as a criminal background check, medical forms and/or notarized university transcripts or diplomas must also be provided. Your International TEFL Academy TEFL Advisor receives extensive, ongoing training on these matters and will be able to provide extensive guidance and information on how such matters work in different countries. How Can Americans Get a Work Visa to Teach English in Germany? Can Americans Get a Work Visa to Teach English in Czech Republic? There are thousands of Americans successfully finding employment in Europe every year as English teachers through International TEFL Academy, so get in touch with an Advisor today to learn how to make this a reality for you! Choosing a TEFL Country: Can I choose where I teach English Abroad? 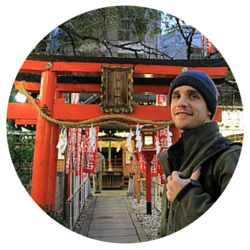 In addition to studying abroad in Germany and teaching English in Seoul, South Korea for two years, Matt taught English in Chicago to adult international students, representing 25 different nationalities, at two of the city's largest private language institutes. He has traveled to over twenty countries globally and is now a member of the International TEFL Academy advising team.